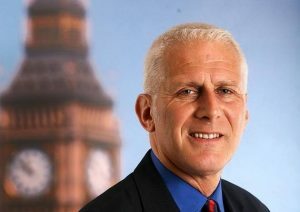 The publication of a report on the so-called “Sharing Economy” by the All-Party Parliamentary Group (APPG) on Tourism, Chaired by Gordon Marsden MP has been welcomed. The Report calls for “a level playing-field for all tourism businesses”, and calls for Airbnb-type properties and similar small B&Bs to be treated the same way. It also calls for platforms to “ensure that hosts have, as a minimum, undertaken a fire safety assessment, a health and safety assessment and, where relevant, have Gas Safe certification. Accommodation providers should not be allowed to register properties without proof of these assessments”. “The sharing economy has argued that regulatory requirements should be proportionately less for businesses listed on their platforms. The APPG for Tourism agrees with the principle of proportionality, but supports the Government’s view that existing legislation, especially that related to fire safety, is already based on proportionality. We also believe that there is no valid basis to contend that B&B accommodation provided via a sharing platform warrants different regulatory treatment to the same B&B accommodation not listed on sharing economy websites. Further, there is significant evidence to suggest that a large and growing number of “professional” operators use sharing platforms to list properties, thereby making any attempt at categorisation a moot point. “While finding that the legislation that applies to accommodation businesses is fit for purpose, we have identified significant issues regarding enforcement. Most sharing economy platforms do not reveal the address of the property until a booking is made. This, combined with sharing economy companies refusing to provide property details on the basis of DATA Protection and significant cuts to councils expenditure on enforcement, means that few, if any, sharing economy properties are ever inspected. Provide HMRC with a means by which to ensure that all businesses pay the appropriate level of taxation. “That the Government urgently assess whether local enforcement agencies have adequate resources to carry out safety inspections of tourism accommodation businesses. This has significant implications for large towns and cities were the provision of sharing economy accommodation in high rises and houses in multiple occupation is becoming more prevalent. That sharing economy companies take greater responsibility for informing hostsusing their platforms of their statutory obligations, especially in relation to health and safety and fire safety. That sharing economy accreditation schemes such as those developed between Airbnb and Quality in Tourism, are rolled-out across all properties on all sharing economy platforms. That sharing economy companies develop and implement procedures that ensure that hosts have, as a minimum, undertaken a fire safety assessment, a health and safety assessment and, where relevant, have Gas Safe certification. Accommodation providers should not be allowed to register properties without proof of these assessments. That Sharing Economy companies explain to hosts before they register that having paid guests staying in their property will affect their home and contents insurance, mortgage, leasehold agreement and that they should purchase public liability insurance. That the sharing economy industry work with the insurance sector to help develop domestic Home and Contents Insurance products that are not invalidated if owners have paying guests for a set number of days each year. That the public liability insurance provided by sharing economy companies is of the same standard, with the same levels of cover, as commercial products.